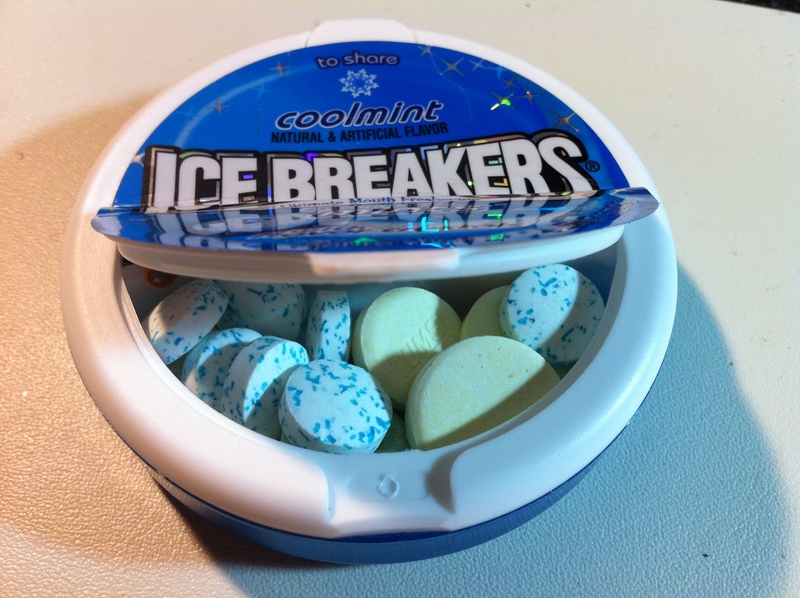 A mint tin that gets angry when his mints are taken! I was thinking about video game controllers, and what fun parts there are inside them. In particular, they have really nice buttons and analog sticks to be salvaged. It then occurred to me that there’s something even cooler in them- vibration motors! I’d been wanting to do something with a mint tin for a while, and I thought that making it vibrate unexpectedly to startle people could be some good wholesome family fun. Mintzilla is a mint tin that notices when mints are removed, grows quietly resentful for a while, then lashes out in anger by buzzing futilely around the table. You turn him on before going out for dinner/drinks/etc with your victim. When the time is right, you offer a mint, close the tin, and put it down on the table. Imagine their shock when, minutes later, in the midst of pleasant non-mint-related conversation, Mintzilla springs to life and buzzes in a furious rage! Here’s a video demo of Mintzilla expressing his pitiful outrage at the selfish humans. When power is applied, the lower transistor is held low by the voltage divider formed by the trim pot and the photoresistor. The trim pot allows adjustment for different ambient light conditions. When light is detected (from the lid opening), the transistor is forward biased, which activates the relay. 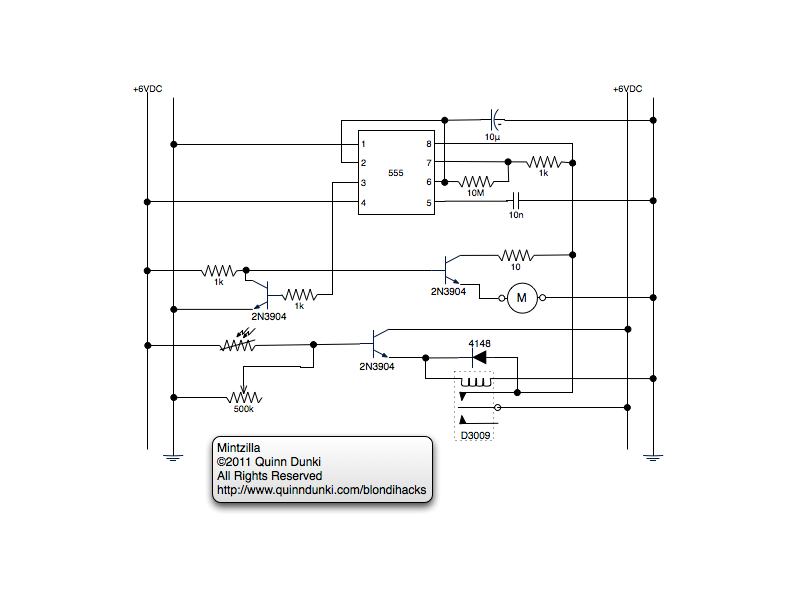 The relay is wired into a self-latching configuration with a diode, so once triggered, the circuit remains active. 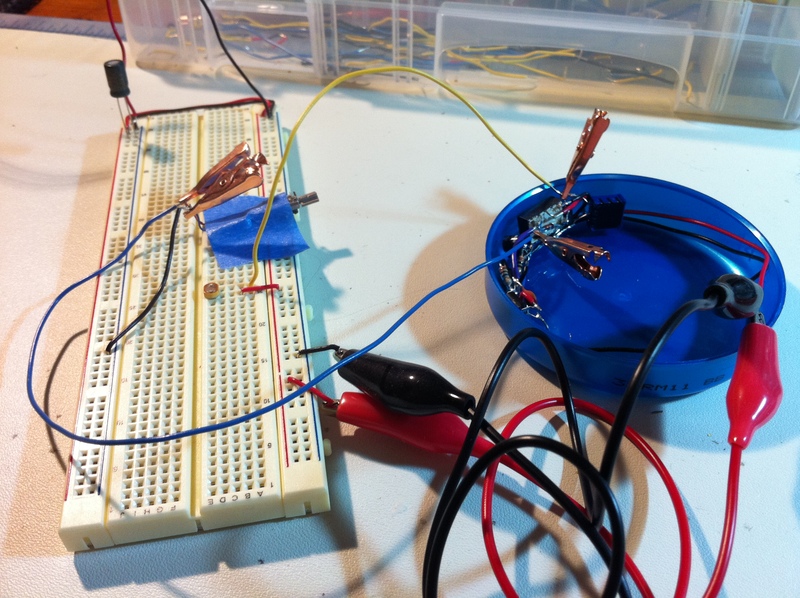 There are lots of solid-state ways to latch a circuit, but I found these really nifty tiny relays at the surplus store, so I used one. 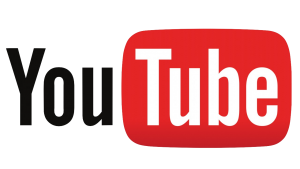 The relay powers the 555, which is configured astable with a duty cycle of about four minutes. The output will be high during the initial pulse, so it is inverted through a transistor, which is then used to bias a third transistor that drives the vibration motor. Once the 555 finishes the long initial pulse, the inverter flips, the motor controller transistor is turned on, and away goes the motor. At this point, main power should be shut off, since the vibration motor isn’t really designed to run at full duty cycle for more than a few seconds at a time. I’m also over-driving it quite a bit, to make Mintzilla as angry as possible. 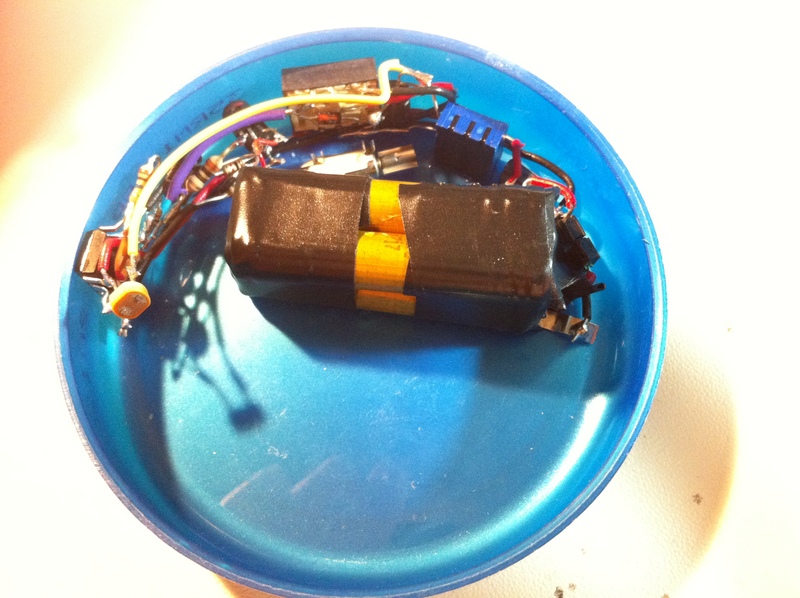 My intention was to use the vibration motor from a junked video game controller. However, I couldn’t find one for free from any friends, and it turns out the damn things are actually pretty expensive on eBay, even when broken. Then I realized I had been hanging on to a junked StarTac cell phone from the mid 90s. Who knows why, but I’m glad I had it, because it had this beautiful little vibration motor in it! I don’t condone pack-rattiness, but once in a blue moon it pays off. This thing had some other juicy bits in it, too- a speaker, some buttons, some connectors, and other salvage swag. 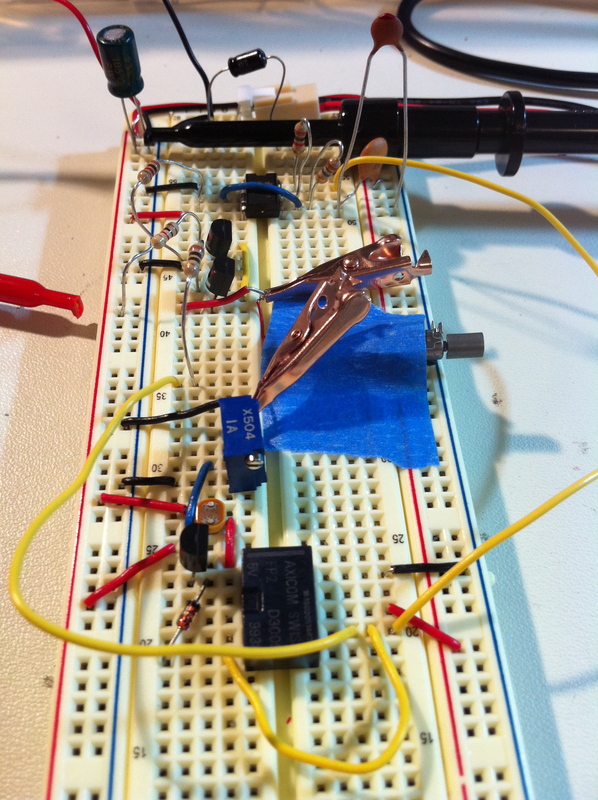 So, with the critical component in hand, I breadboarded the circuit. Here’s a little test-run. Note that the 555 is configured with a much shorter (two second) duty cycle for testing. It’s not fun to sit around staring at the breadboard for two minutes, waiting to see if it worked.You can see that when the photoresistor is exposed to light, there’s a delay, then the motor begins running. Since the delay is short for this test, you can also see how the motor is pulsed by the 555 if left running. In the final circuit, this would not occur, since the pulse is very long, and you wouldn’t want to let it run for a full cycle of the 555. Two minutes would certainly burn the motor out. Now the really fun part- construction! 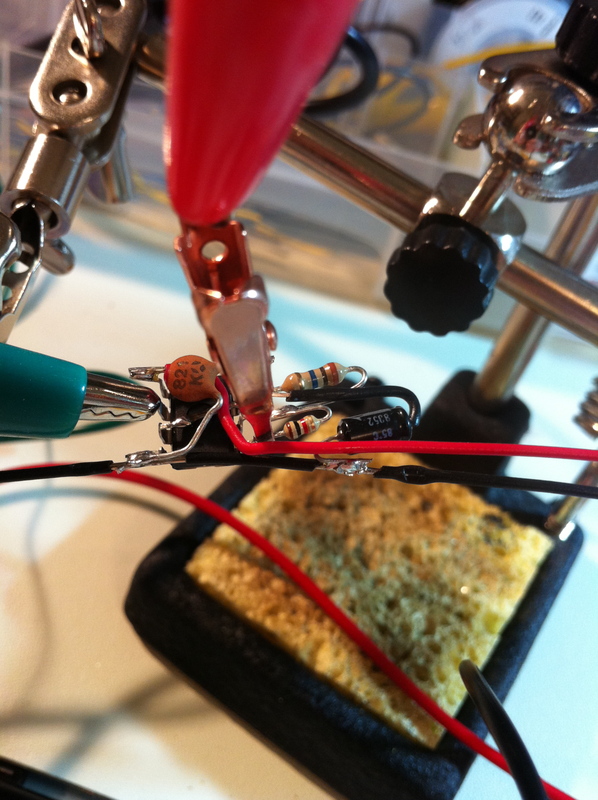 I’d never done this “dead-bug” style of circuit assembly before, and I have to say it’s a lot of fun. You can really get things compact, and it feels like making a sculpture. 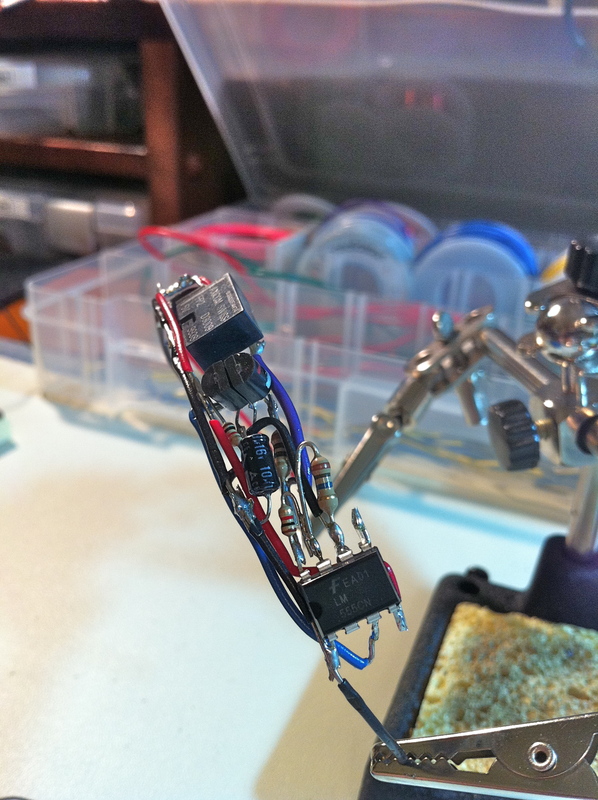 You’re laying the circuit out in 3D, and it starts to look rather like jewelry. It’s also a fun puzzle to find a physical packing arrangement for the components that is as tight as possible. I built the circuit in stages, testing as I went. Here, I’ve built the 555 timer portion. I’m injecting power and patching in an LED to test it. Here’s the completed circuit. The 555 is on the bottom in this image, the relay is on top, and the transistors are in the middle (glued into a pack). The resistors and caps tie everything together. In a few areas, I stripped insulation off some 22ga wire and slipped it over the component leads, to protect them from each other. Power and ground run along the bottom (left in this picture), and I’ve stripped mid-sections in the middle as needed to tap into them. Next, I test fit the circuit, and did a chassis test by patching in the I/O components (the photoresistor and the vibration motor). So, ready for final assembly, right? Well, that’s what I thought too. I made a real rookie mistake, though. 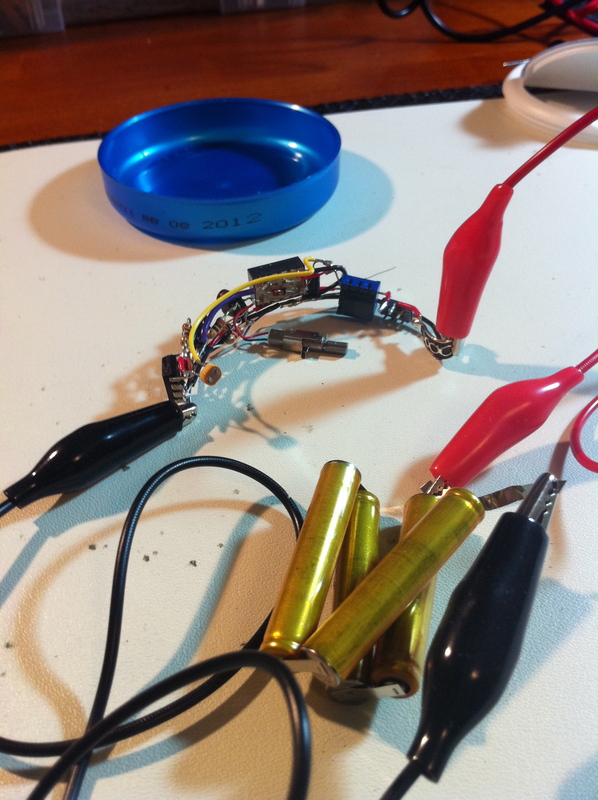 I had intended to (and budgeted space for) a pair of coin cells to get the 6V needed to run this dog and pony show. I knew from testing that the motor needed about 180mA, so the 2N3904 can drive it with no problem. The coin cells would go dead pretty quickly with that kind of draw, but the motor will only run for a couple of seconds at a time, so it should be fine, right? Wrong. The veterans and pros reading this are laughing right now, because they know you can’t draw 180mA at once out of a coin cell. Or, frankly, anything smaller than a AAAA alkaline cell. Sure, the coin cells I have are rated for 240mAH, but the maximum continuous draw is more like 7mA. When I tried to drive Mintzilla with my coin cells, I got…. nothing. It was sort of neat hooking up a voltmeter and watching the potential on the cells drop to zero immediately as the motor tried to draw enough current out of them to start. The cells would recover once the load was removed, but the motor would never get going. After doing my homework on battery drain, it was clear I needed something much bigger- like a 9V. However, that was too big and had more voltage than necessary. What I really needed was two thirds of a 9V battery. I’m sure I’m the last person on earth to figure this out, but I’m glad I did. 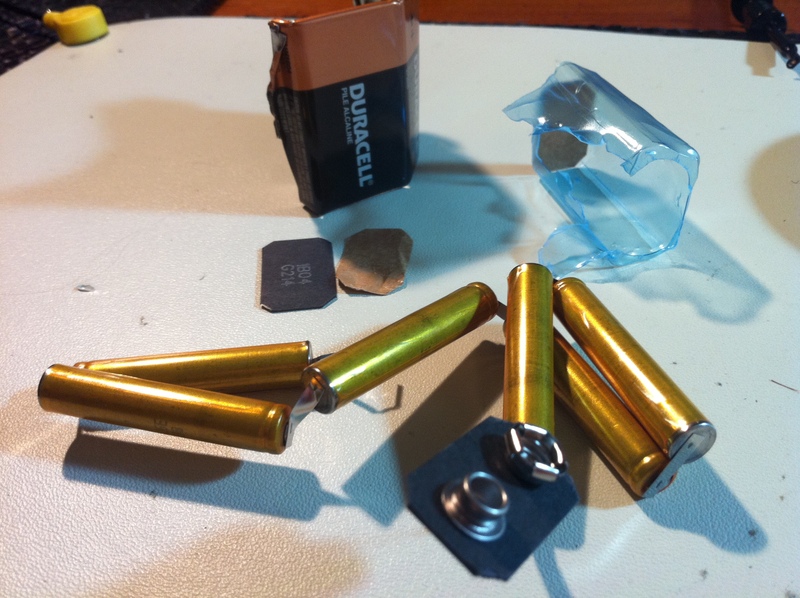 Inside a 9V battery is six AAAA cells, which can be reconfigured as needed. They even have handy solder tabs attached! Not anxious to repeat my earlier mistake, I did a test with four of these cells to make sure they could drive the circuit the way the data sheet says they should. 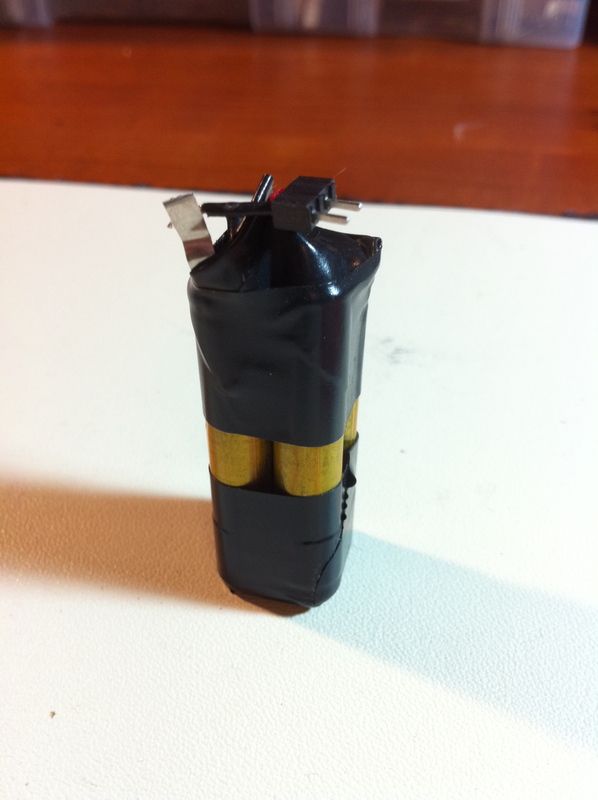 That worked great, so I used a two-pin header to make a little homebrew battery pack that can be replaced when needed. 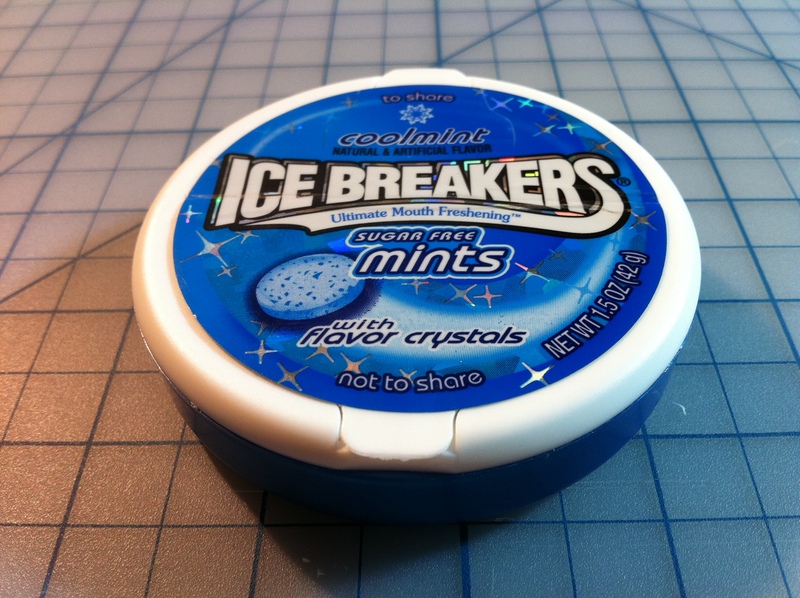 For final assembly, I used a combination of superglue and epoxy to fasten everything in to the mint tin. In particular, the vibration motor needs to be really well secured so that it will stay put and transfer its energy into the tin to make it shake on the table. 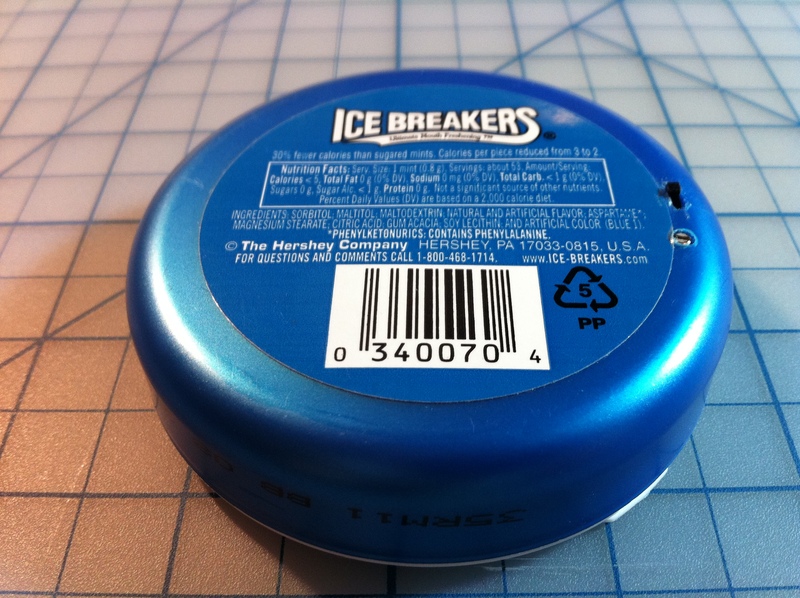 This brand of mint container is polypropylene, which is a soft, slippery plastic. It doesn’t hold glue very well, so it took a couple of attempts to get things solid. Also, beware the very low viscosity of super-glue. It can seep down into switches and pots, seizing them forever. Ask me how I know. Quinn Angry! Quinn Smash! 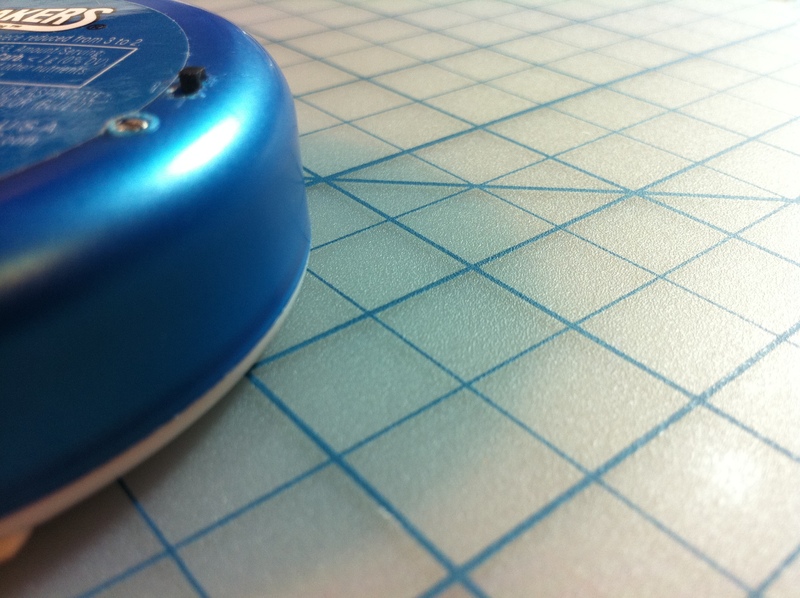 The circuit is covered with layers of white and wax paper, cut and folded to fit. This hides the guts behind the mints and keeps everything sanitary (they are food after all). This brand has a convenient 50/50 split lid, which conceals the circuit nicely. As long as the front half is full of mints, there’s nothing to suspect. 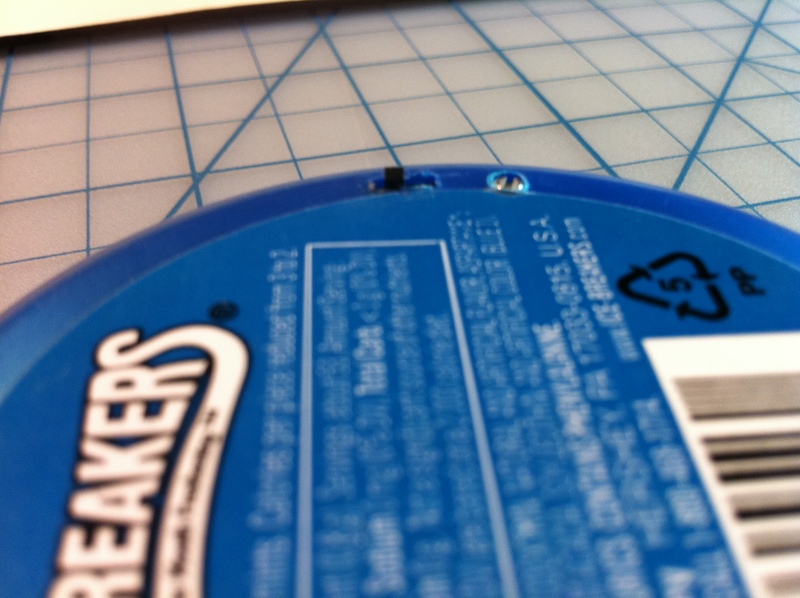 The photoresistor is exposed just under the hinge of the lid on the left (see it?). It can receive some ambient light, but isn’t visible unless you really look for it. On the underside, the power switch is mounted in a slot, and the trim pot is exposed to adjust the sensitivity of the light detection. I find it works well to make it very sensitive. It’s basically pitch black in there when the lid is closed, and this way it will still work when ambient light is very low (such as in a bar or nice restaurant). There you have it! Be careful out there, and don’t make Mintzilla angry!